As discussed many, many times, the strategies for CVI must match the assessment results using the CVI Range (Roman-Lantzy 2007). We never can just randomly apply a strategy because it will not fit the functional visual needs of the child. 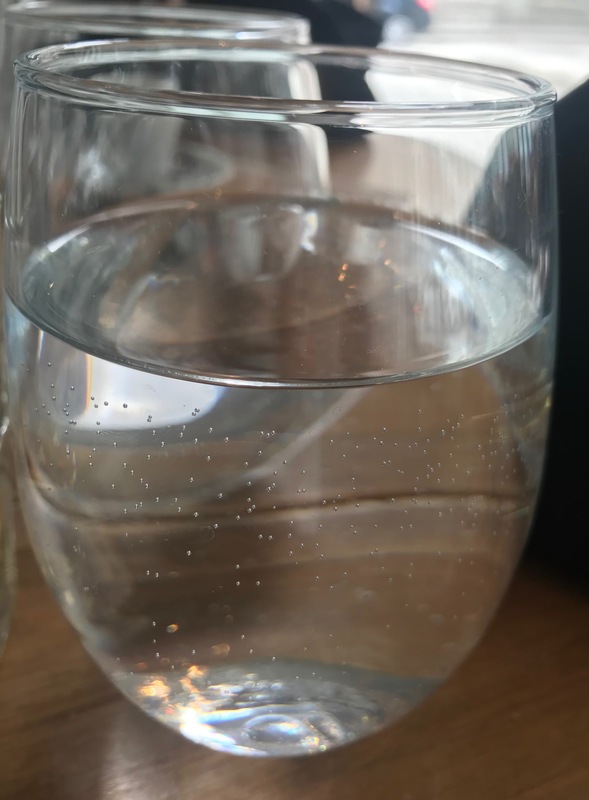 If it does not fit the functional visual needs, it will not provide visual access and will not foster improvement of cognitive and visual skills. With that reminder, I was asked about ideas for iPad apps for children in Phase III (Roman-Lantzy). Just providing a student with an iPad does not guarantee access. We need to assess the child, think about their visual needs and carefully use the iPad as a tool to provide that access. What can be some general needs for students in Phase III? Light: Backlighting helps foster access to materials especially in 2D (pictures and text). Latency: There is still a need for increased time for full visual exploration and full visual understanding. Visual Field: Lower visual fields might be affected. Complexity: Complexity affects visual understanding in objects, increased arrays, of faces, and of the sensory environment. Distance: Near information is more accessible. Distance curiosity is not typical so distance information is missed. How do we want the iPad to support the student in Phase III based on assessed need? Tools for color highlighting help support salient feature discussion in pictures and text. Backlighting helps with understanding and easy of access to prevent fatigue. Moving to 2D: taking pictures of their items in the environment and then providing the 2D on the backlighted iPad. Provides ability to capture images and videos for longer visual access time. Capturing images can be reviewed as long as needed. iPad placement is flexible matched to child’s best visual field. Expanded understanding: Example: Here is one kind of mouse in the book but these are all the other kinds of mice. Overall ability to use settings and apps to reduce complexity of images. Studying facial expression in photographs and videos: salient language of faces matched to voice (auditory). There can be instruction about facial expressions that match the auditory information. Salient feature discussion in photographs and text. Increasing spacing of words and sentences to reduce complexity of array. Masking: complexity reduction with tools in Photos. Videos on the iPad: to bring information about events and concepts that occur at distance: Example: We are reading about giraffes. I think about providing a child with access to where that animal might live and how they move. Access to distance classroom events: Examples: learning song hand movements for circle time. Community access: taking photographs of signs and environmental materials that can be explored on the backlighted, near placed iPad. We all pick up books based on our preferences for topics. Why should our children with CVI be any different? Parents have a wealth of information about what their children’s passions. These are the favorite and visually familiar things we should build our literacy materials around for our children. My student is fascinated by cell phones. I grabbed a Google image of a cell phone (actual size) and chose a fairly complex book. I applied Velcro to the back of the cell phone image and to multiple places on each page. 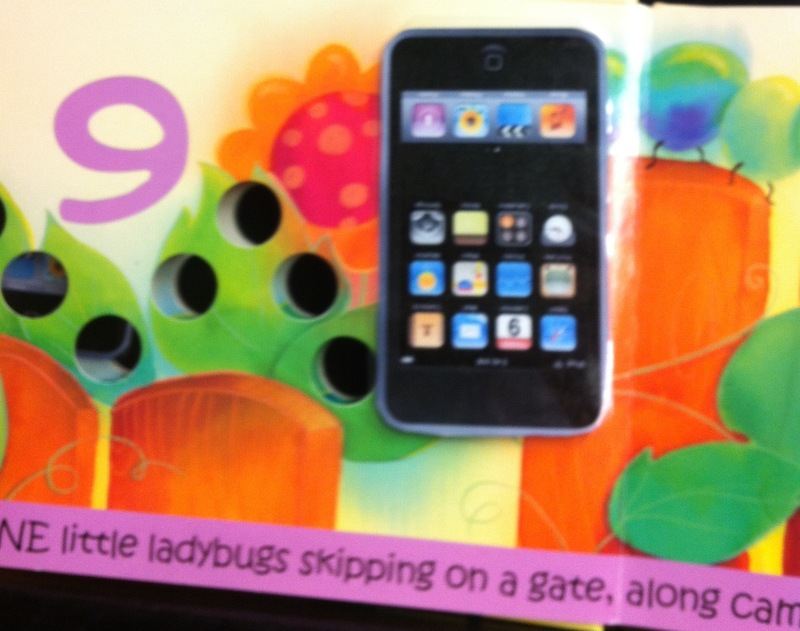 The book became The Ten Ladybugs and the Cell Phone. Because my student really likes this item and had a firm visual memory for this item, his success was almost immediate. Once he could locate the cell phone picture, he could hand it to me and play with a cell phone for a minute. With this success, I can go several places with this skill. I can increase the complexity of the background and/or decrease the size so the cell phone becomes more symbolic (not the exact real cell phone size). This makes learning interesting for my student and I can work toward my goals. We are both engaged and happy to work together! We move to increase and expand my student’s literacy interests based on their preferences not mine! My 3 year old student who is non-verbal had no interest in any literacy materials when she arrived in preschool due to ocular and cortical visual impairments. 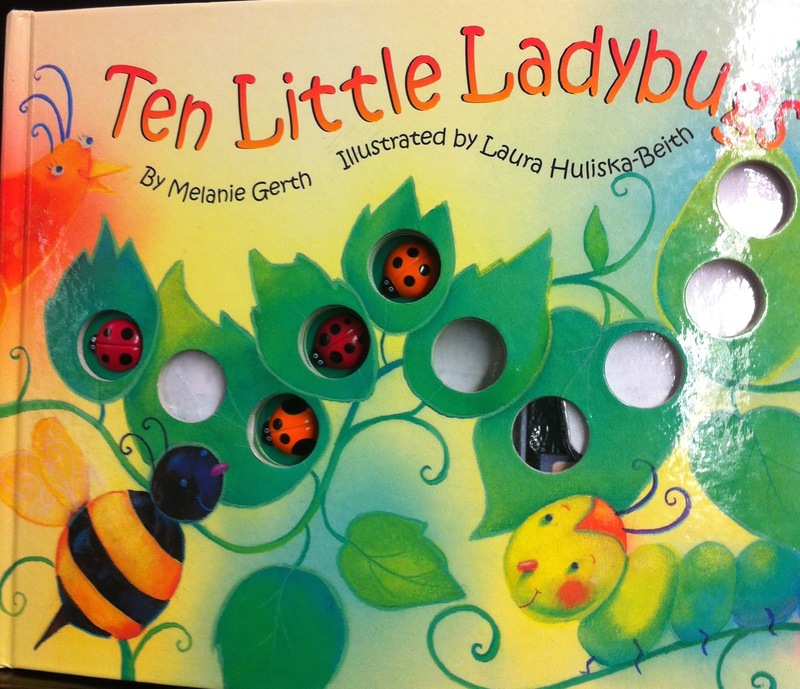 Her preschool provided rich experience based literacy using adapted books matched to her ocular visual needs and matched to her CVI Range Assessment (Roman-Lantzy 2007). 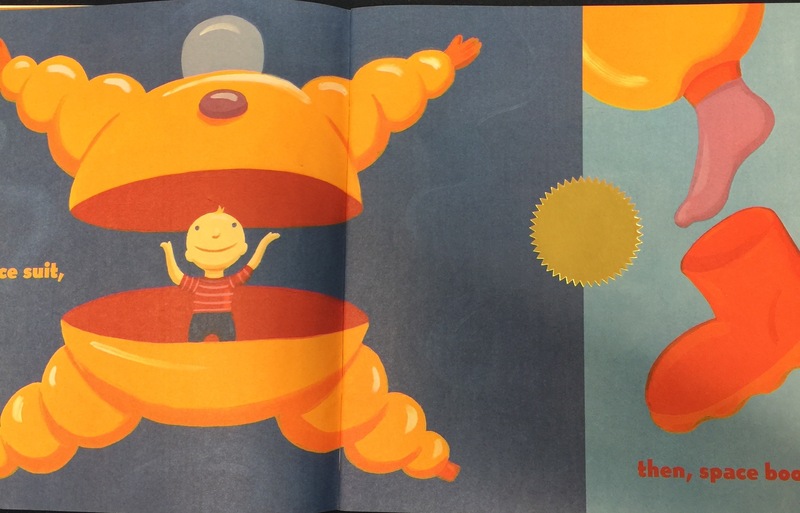 Each book had an accompanying storybox with 3D materials to support each non-complex picture. I wanted to check visual recognition of one 2D image. I choose the book Zoom! Zoom! Zoom! 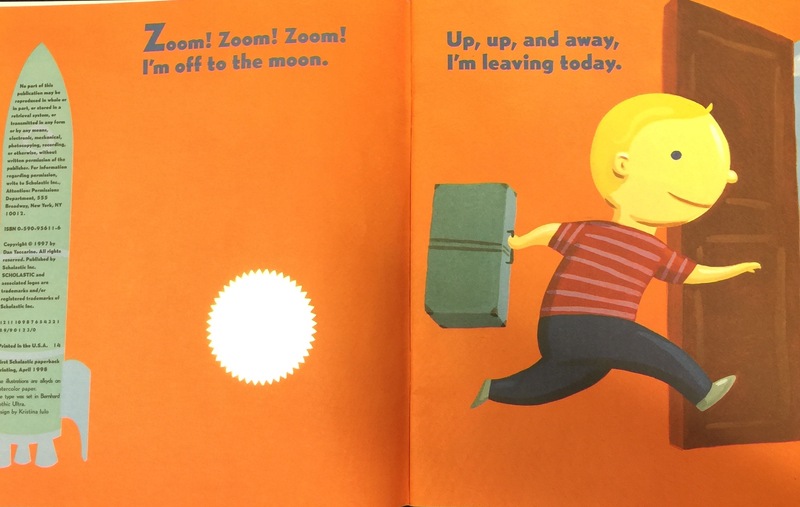 I’m Off to the Moon by Dan Yaccarino. It had a series of images of round pictures. 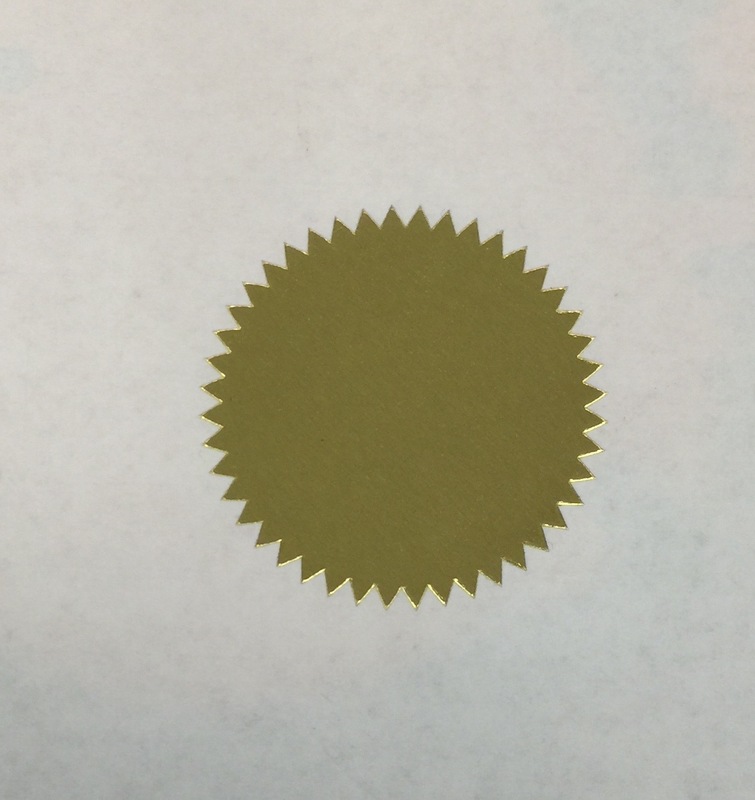 As a salient feature (Roman-Lantzy) I used a shiny, gold, round sticker. I presented this sticker on a white non-complex background. I knew my student loves the Itsy, Bitsy song. With hand under hand support, each time the sticker was presented we would touch the sticker together and I sang part of her favorite song. 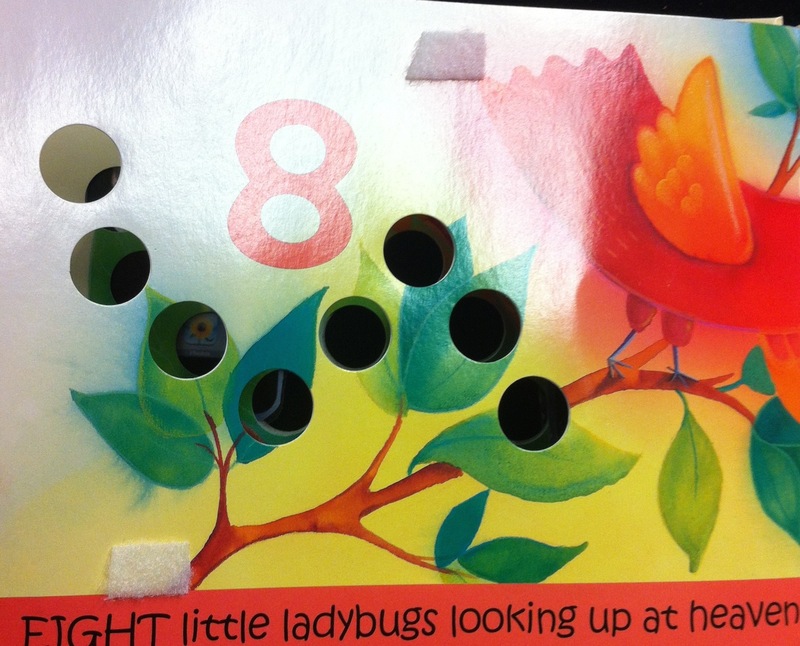 With her success with pointing to this one sticker, I applied the sticker in different places on each page of the Zoom! book. After a week, she was looking at the pages and finding the shiny sticker each time. She would lean closer to reduce the complexity, isolate her index finger, point and look at me and smile. True recognition! With the increasing interest, she really studies all the classroom adapted books and even chooses books during her free time on the mat. I wish I had a nickel for all the times I’ve heard this comment about children with CVI: “She sees when she wants to.” I would be a rich woman! Looking is not a choice. Shown any item, we with typical vision, need to look at things in our world to decide whether we want to interact with it or not. We can decide to grab it, eat it, throw it or ignore it but we must look to determine what it is first! So why do our children with CVI seem to see some things and not others? Why do they have this inconsistent visual regard to materials in their environment? I find my students look and look and reach most consistently with those materials that are familiar (characteristic of Novelty Roman-Lantzy). These are the materials that my students have formed a strong visual memory of. Looking at it and recognizing it are solid skills. My student, Judy, lacks visual attention for most materials in her environment. She requires the strictest environmental controls for visual location and for sustaining her vision to most materials. Judy does love Goldfish crackers and water bottles. She can find a goldfish cracker on her tray immediately, reach to it and gobble it up. She can spy a water bottle 6 feet away, smile in recognition and cross the room to grab it. She shows no other visual recognition to any item at this 6 feet distance except light. People who do not understand CVI or understand how important familiar materials are to children with CVI, misinterpret this as a “behavior”. They blame the child for lack of interest. Seeing this ability in the context of the CVI characteristic of Novelty (Roman-Lantzy), is the only way to interpret this ability and to expand a student’s access to the world with lateral learning.